CMHP Immediate Past President Nikki Holmes is the most recent member to successfully recredential with the College. Our credentialed members are required to go through recredentialing every five years to demonstrate their continuing expertise in the field of mental health pharmacy. Nikki Holmes is Head of Pharmacy, Forensic Servicesat Nottinghamshire Healthcare NHS Foundation Trust. You can read more about her work in a Pharmaceutical Journal interview from December 2017. Nikki first credentialed with the College in 2008. At that time she was working in New Zeland and was one of the first two overseas pharmacists to be credentialed as a specialist mental health pharmacist by the CMHP. Nikki joined the CMHP Council in 2013, initially serving as Assistant Registrar and then Vice President prior to becoming President for a period of two years from November 2015. 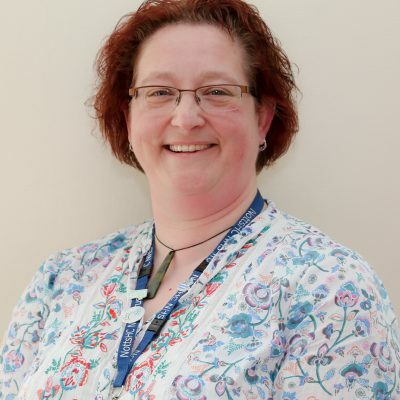 “The thing I find most rewarding in my role is both being able to work directly with patients to optimise their medication management and positively influence their recovery journey, and also being a leader and enabler of my staff members to do the same. Credentialing is our process for assessing members' knowledge and experience; it demonstrates that they are experts in the field of mental health pharmacy. Credentialed members are full members of the College and can carry the post-nominals MCMHP. Credentialed members are invited to recredential every five years. For more information about credentialing with the College please see the Credentialing web pages. You can also view the full list of credentialed members here.